Well before learning how to bowl a leg break lets try to know what actually a leg break is? Leg break is a delivery which actually should be pitched in and around the leg stump line and is allowed to spin away from the batsman moving towards the off stumps or outside the off stumps after hitting the pitch. Since the ball pitches in and around the leg stump lines, and breaks or spins away from line of pitch of the ball, it is called as Leg break. To bowl a leg break the bowler needs to concentrate on many different things like gripping the ball, direction of front leg, position of body or chest, position of arm, position of wrist and rotation of the ball. 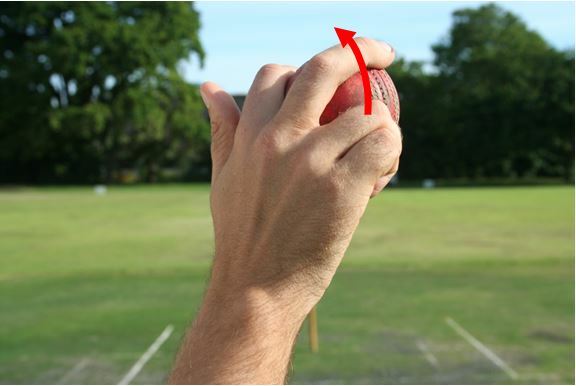 Well as shown in the picture to bowl a leg break the ring or turning finger should be in contact with the seam, the middle and index fingers should be rested on the seam with a comfortable distance, finally the thumb can be in contact or can be with out in contact with the seam since it plays a minor role in spinning the ball, in this type of basic leg break bowling. 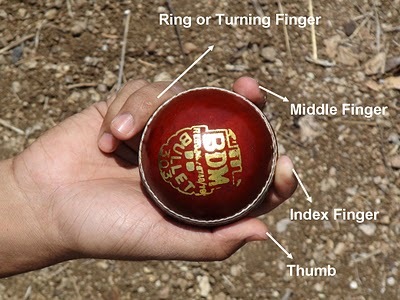 The three fingers index, middle and ring are the key in gripping or spinning the ball from right to left. And among these three fingers again the ring finger plays the major role since this is the turning finger which is used to spin the ball from right to left along with the seam in the direction of slip region. That’s why we call this ring finger as spinning or turning finger. 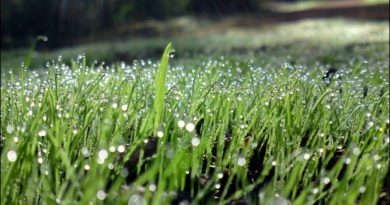 The gap between the middle and index fingers shouldn’t be too far or too close but has to be a comfortable distance which finally depends on individual. 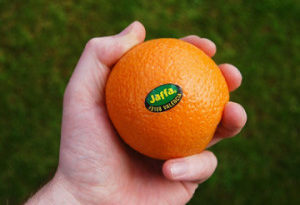 At the end of the day the whole grip has to be a comfortable grip but shouldn’t be too tight or too loose grip. Well to get a rhythm of comfortable grip you got to practice or got to be habituated in spinning the ball from right to left along with the seam right up in the air. Before every ball you try to bowl or between delivery to delivery you get some time, do this exercise repeatedly, surely you will be getting a nice rhythmic comfortable grip, which allows you to turn the ball from right to left along with the seam in the direction of slip region at the time of releasing point. Well while bowling leg break delivery the direction of front leg should face towards the fine leg region so that the position of arm will not be able to raise at an angle of more than 60 degrees with respect to horizontal shoulder level position, which actually gives the flexibility to spin or rotate the ball from right to left along with the seam in the direction of slip region. At the end of the day this direction of front leg facing towards the fine leg region gives the good control over the position of arm in maintaining the angle between 45 and 60 degrees with respect to shoulder level position, which in fact finally will be the key in bowling leg break delivery in and around the different leg stump lines. Well when the direction of front leg faces towards the fine leg region, by default the direction of position of chest will face towards the backward square leg or leg gully region, which in fact creates the flexibility in controlling the position of arm between the 45 and 60 degree angles with respect to horizontal shoulder level position, which actually is the key in bowling leg break delivery. When you bowl a leg break delivery the body from the waist level will not lean too much towards right side and also the position of head comes nicely outside the front left hand ( Just like a side on bowling action ). At the end of the day the direction of front leg facing fine leg region and position of chest facing the backward square leg region are the key in dropping the ball in and around the different leg stump lines. 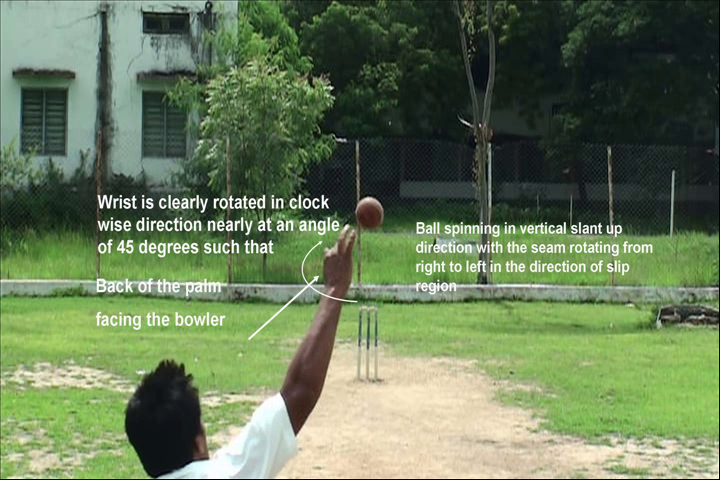 When the position of arm is maintained at an angle of between 45 and 60 degrees, it creates the flexibility for the bowler to spin the ball in vertical slant up direction and rotate it from right to left with the help of ring or turning finger in the direction of slip region along with the seam, which actually will be the key in bowling leg break. The main intention to do this is to try and rotate the ball from right to left ( if you look at this picture ) with the help of spinning or ring finger, making sure to rotate the ball along with the seam in the direction of slip region by spinning up in parabolic style. 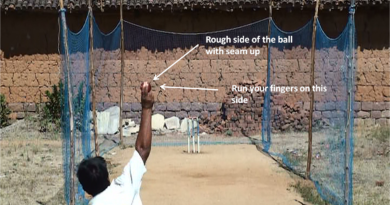 In googly the back of the palm will face the batsman and in Top spinner the back of the palm will face the sky during the releasing point. At the end of the day the position of wrist and position of arm are the key in spinning the ball in vertical slant up direction along with the seam facing slip region rotating from right to left direction. 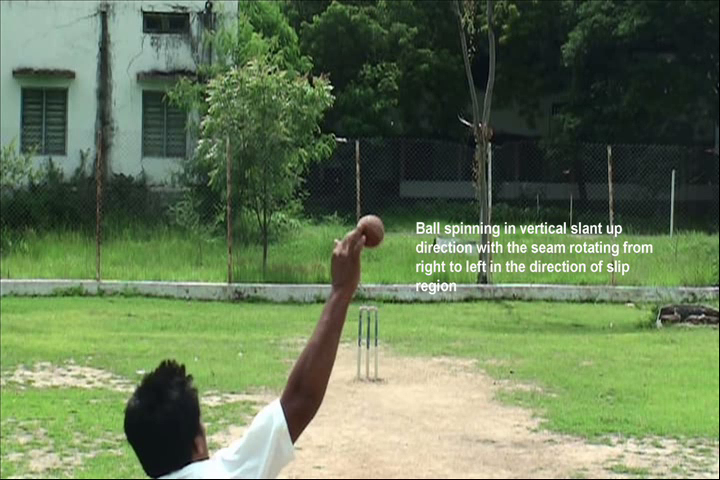 The ball rotates from right to left in vertical slant up direction with the seam facing towards slip region, in fact the trajectory of the ball will follow the curve or parabolic shape like moving from releasing point to “Top position” in the air and then moving towards down direction hitting in and around the leg stump line, then moving accordingly to spin of the ball which is nothing but moves away from the right handed batsman towards outside the off stumps after hitting the pitch.